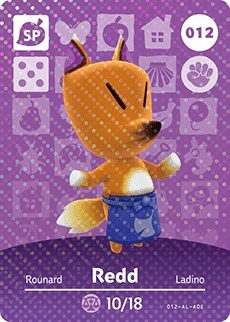 Be sure to check your plaza each day in Animal Crossing: New Leaf, as Redd’s tent may appear! Enter the tent to browse Redd’s fine selection of rare artworks that include paintings and sculptures, although be careful as they could turn out to be fake! His birthday falls on October 18th, meaning that his star sign is Libra.